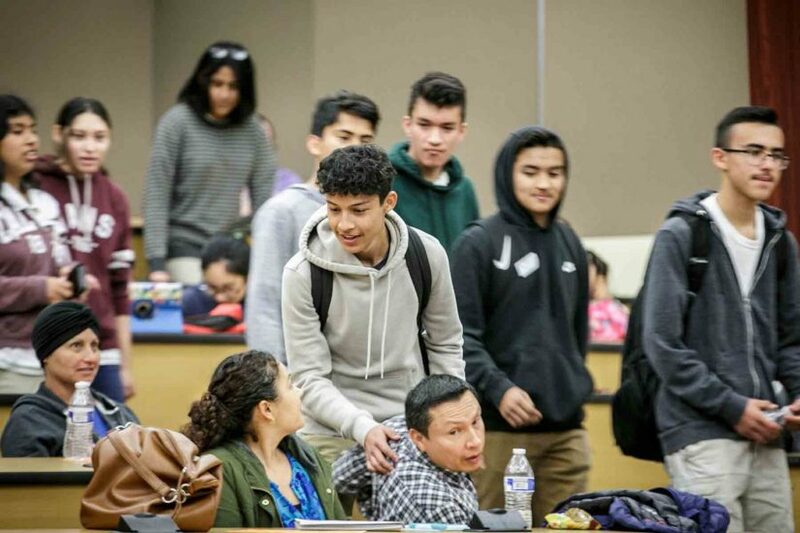 For the last four years, Irma Henriquez and her son Nelson have spent their Saturdays at a unique USC college prep program at the university’s Health Sciences Campus, even though college is still a few years away. 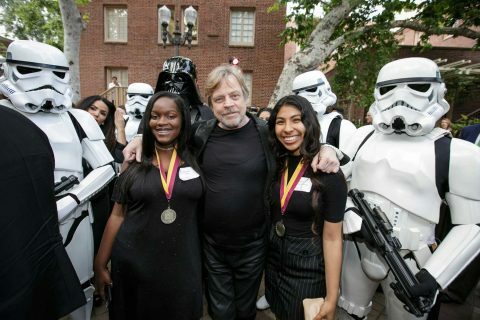 It’s the sacrifice parents and neighborhood youth make to be a part of the Neighborhood Academic Initiative, a seven-year, tuition-free college preparatory program for youth who live near the USC University Park and Health Sciences campuses. While parents go to seminars in the morning, the students hit the books. If they stick with the program through 12th grade, they’re eligible for a full scholarship to USC. They also receive support getting admitted into other four-year universities. “You are sacrificing your Saturdays … but imagine what you’ll be receiving at the end,” Irma Henriquez said. 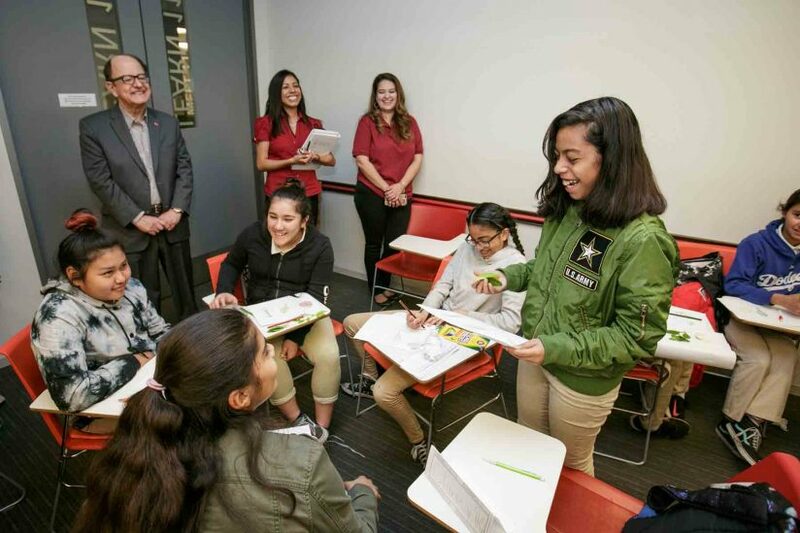 USC President C. L. Max Nikias recently surprised NAI families with a visit at the HSC campus, stopping by classrooms where students were learning plant cell structure and the drag coefficient of their sneakers. He emphasized the importance of higher education being an option for all. 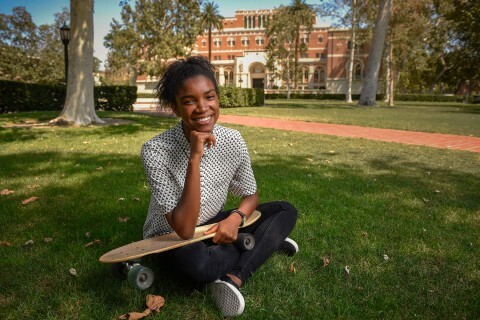 Since the program started in 1990, 100 percent of the NAI program’s roughly 1,000 graduates have been accepted to college, including many to USC. 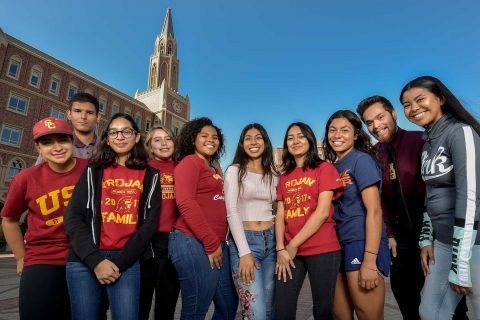 South L.A.’s Foshay Learning Center, an NAI participating school, has provided more first-year USC students than any other high school. 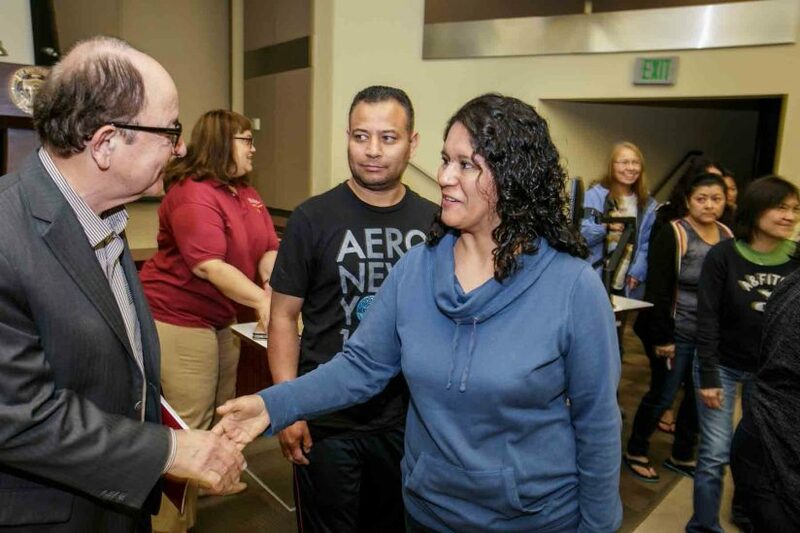 Univision went along with President C. L. Max Nikias on his visit for a two-part report. 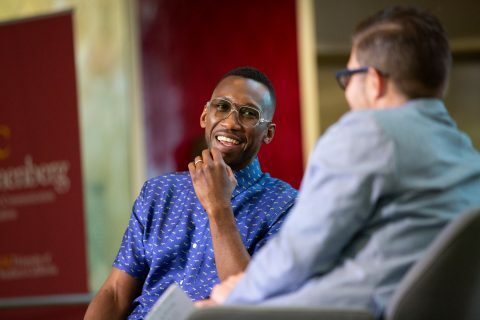 The first segment aired Feb. 22; the second segment aired Feb. 23. “It’s a wonderful opportunity, not just for Nelson but for many of our kids in our community and hopefully my daughter, too. She’s a future NAI,” Irma Henriquez said of her 10-year-old daughter, Sophia. Nikias spoke of growing up in a small village in Cyprus, in a home without running water or electricity. His father, a carpenter, and his mother valued education and moved to the city to get him into competitive schools. Irma Henriquez said hearing Nikias was motivating. “Like he said, anything can be possible — just keep dreaming and stay focused,” she said. Getting a scholarship to attend university would be “winning the lottery” for her family, she said. Both she and her husband were born in El Salvador; she’s a stay-at-home mother and her husband works at a dry cleaning business in Beverly Hills. Nelson Henriquez, in 10th grade, would be the first in his family to attend university. “Since the beginning I’ve always had the dream to go to college and to be something big in my family,” he said. With birthday parties and extracurricular activities, there are lots of things kids could be doing with their Saturdays, but her son gets himself out of bed and on campus on time every weekend. He sets his own alarm; she never has to wake him up. 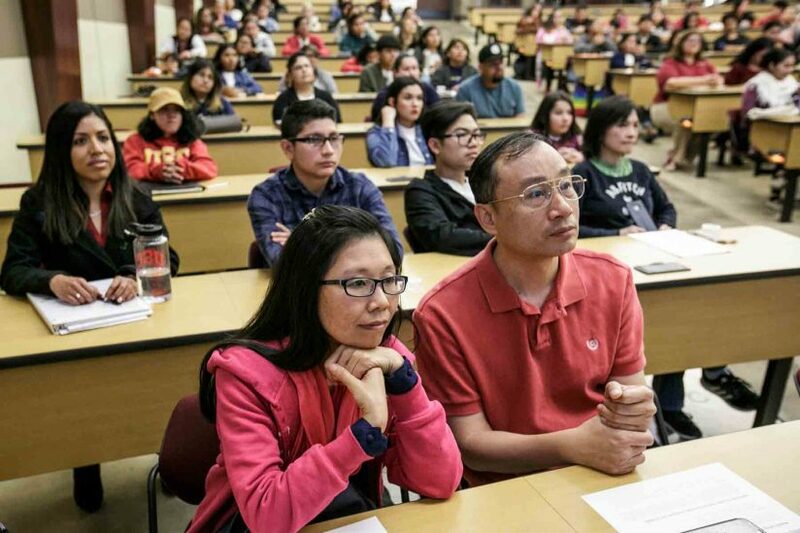 While the students study on Saturdays, the parents are learning everything from college applications and personal finance to U.S. history and wellness, with NAI frequently sourcing USC experts. Parents also serve as “reps,” giving NAI feedback on what they’d like to learn and discuss. They have Spanish and Chinese translators. Preparing for college, especially for first-generation students, can be stressful. With NAI, parents are part of the student’s journey. “It takes off a little bit of the stress because we’re all a family here,” Nelson Henriquez said. 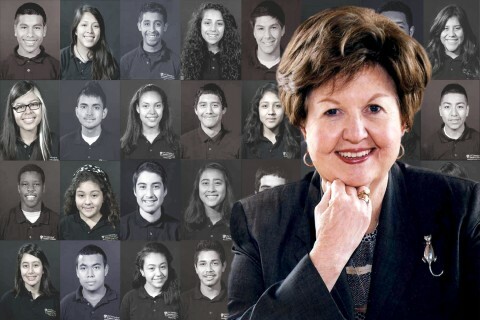 Over the years, Irma Henriquez sees the way NAI has impacted her son. “You see the difference between my son and other kids. For him, college is his priority,” she said. “He goes to the College Corner at his school.” That’s a spot at Wilson High School where kids can learn more about college applications, scholarships and financial aid. 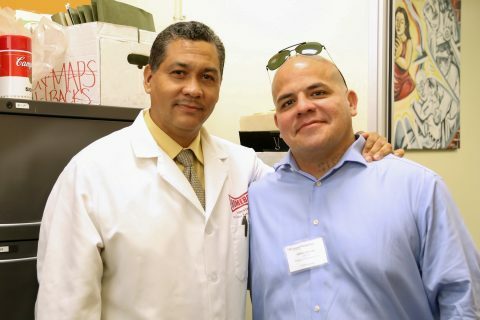 NAI, which started serving South L.A. families near the University Park Campus, expanded in 2013 to serve families around the Health Sciences Campus. When Nelson graduates from NAI in a couple years, he’ll be part of that group’s first cohort. To learn more about the program and how you can support it, visit the NAI website. Freshmen from South L.A. high school stick together as they begin their collegiate careers.